One of the most persistent and pervasive problems found along the roads and streams of the watershed are the large quantities of disgarded refuse. This litter despoils the natural beauty of our hills and valleys. Illegal dumping is also a problem plaguing the entire watershed. Abandoned appliances, vehicles and tires are thrown over hillsides into beautiful secluded valleys. These activities are not only illegal but pollute our drinking water supply and often pose a health risk to those interested in outdoor activities. Abandoned tires provide a breeding ground for mosquitoes; including those that carry the West Nile virus. In order to save a couple of bucks a number of our residents are willing to put our youth at risk. 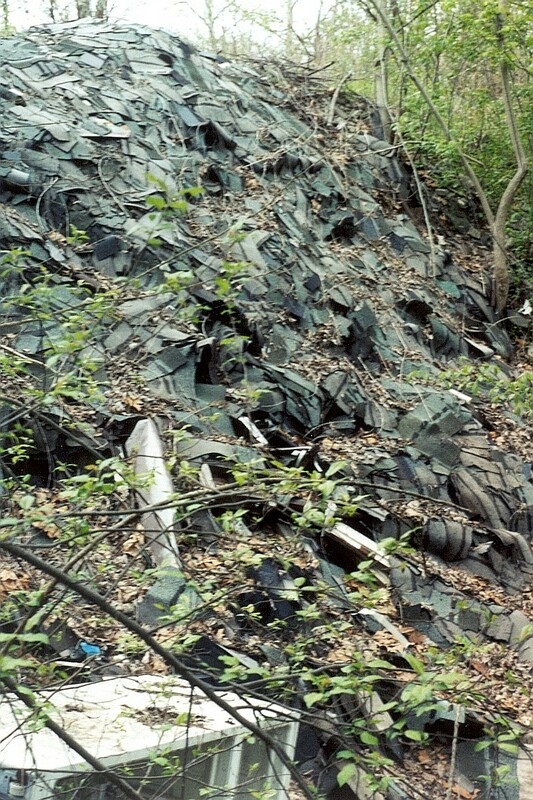 Many illegal dumps contain construction materials. Toxic chemicals and heavy metals leach from these piles during rain events and find their way into Peters Creek and our groundwater supply. Visitors from other parts of the country often comment on the large amounts of litter found along our roads. It reflects negatively on our area. Who are the lazy, irresponsible individuals contributing to this problem and how do we stop them?